Regular readers will know that I do have a bit of a thing for nice tea-towels (blame my mother, she's more obsessed than I and clearly passed on the gene). They're an inexpensive way to brighten up your kitchen, and make, let's face it, a rather boring chore that little bit more interesting. 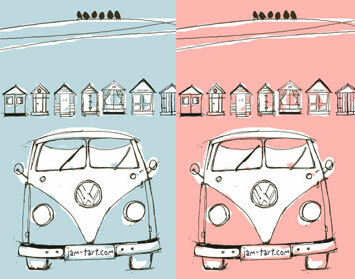 This summery duo from newly-opened online gifts and accessories store Kitty & Polly combines the iconic, charmingly hippy VW Kombi van with a traditional beach scene of beach huts (that very sought-after summer commodity, now out of the price range of mere mortals). Available in baby blue and pink, the towels are 100% cotton, designed and produced right here in Blighty and cost just £4.50 each. As opening specials, Kitty & Polly is offering free shipping on orders over £40, and 10% off your next order when you register for their newsletter. Oh dear, I think I'm in love. I'm sure you're thinking that this is no bad thing, but the problem is, it's tableware I'm in love with, and I just don't know if I have the room for any more. 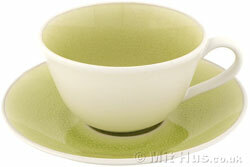 The current object of my affection is this beautiful chartreuse green and white cup and saucer. I love cups with the decoration on the inside, and this subtle green crackle glaze is the perfect foil to the creamy matt white on the outside. 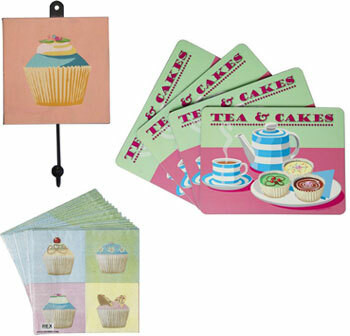 It's just £4.50 from fab Scandanavian-stocked UK store Mit Hus. Ah yes, the wedding season is upon us. 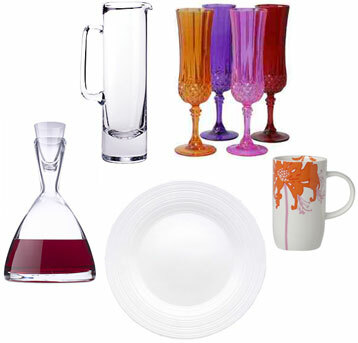 While many brides and grooms opt for a wedding registry or gift list, some rather you give them a gift chosen by you. It can be really tricky finding something appropriate, without breaking the bank, so here's a quick look at five great glassware and tableware gifts for £30 and under. 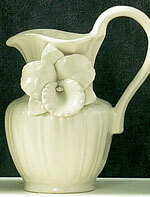 This pretty jug looks like it's wearing a corsage. It has a lovely country feel, but the addition of the orchid - not such a traditional country-style flower - gives it a fresher feel. It's £8 from Matalan, but there's not much info on the website, so you'll need to trek down to a store for more details. 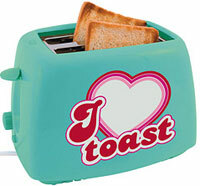 When I first saw this fabulously retro toaster, all I noticed was the great colours and styling. It wasn't until I had a proper look at all the details that I realised it also toasts 'I love you' on all your slices. Very kitsch! While I'm not too sure how I feel about sentimental breakfast foods, I do love the toaster itself. 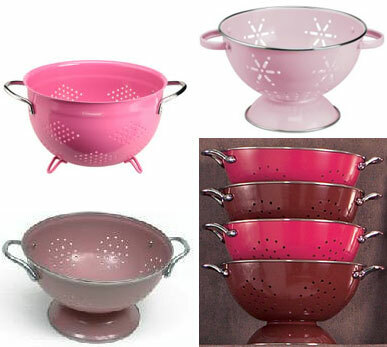 It would go very nicely with your vintage style colander and 50s-inspired appliances. It's available in turquoise as shown and is £20. 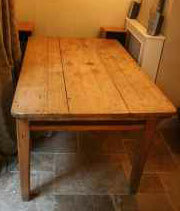 Want a little whimsy in the kitchen? 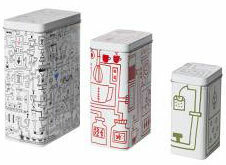 Check out these cute storage tins from Ikea with hand-drawn style designs. 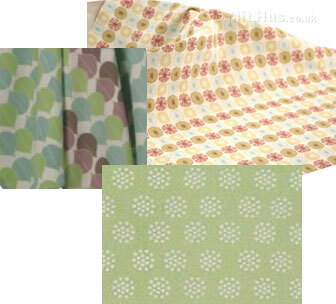 They come as a set of three for just £1.99 and can be nested inside one another when not in use to save space. I must say, I'm quite intrigued as to what the smallest is depicting - a teabag down a drainpipe? Anyone?